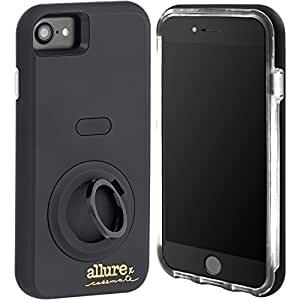 Lights, camera, selfie… Step your (selfie) game up with the Allure x Case-Mate Selfie Case! Equipped with professional grade LED lights and an adjustable dimming feature, you are sure to master the perfect shot. The built-in 360Â° rotating ring provides you the stability you need when perfecting your angles. BONUS! For a limited time only, try one month of the Allure Beauty Box (6 or more handpicked deluxe-size beauty products), plus a one year subscription to Allure magazine, compliments of Allure. Yes, dreams do come true!